It can be difficult to keep rodents out of your home. For example, mice can squeeze through openings as small as a dime, and rats can enter through holes no larger than a quarter. Sealing any crack or gap they may enter is the best means of keeping them out of your home. Unfortunately, small spaces they can enter are easily missed, and can be in locations you never considered. The Bug Dude can locate potential entries and provide the professional pest control in Fort Worth to get your rodent problem under control. 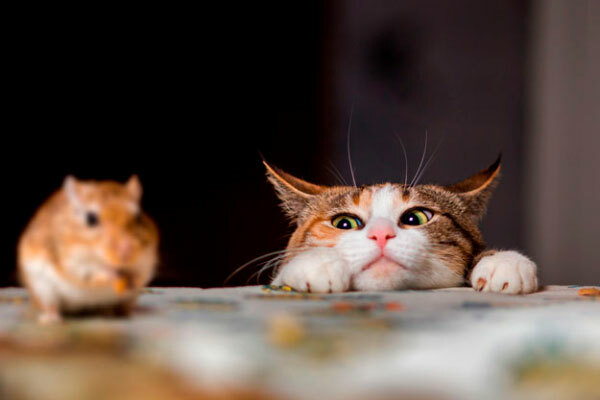 Rats and mice aren’t the only rodent problem homeowners can face. Squirrels are also a problem for many homes. When winter arrives, like many species of insects, rodents, will try to enter your home for shelter during the fall and early winter. They can gain access to your home from utility lines, squeezing past the cables and wires and into your home. Squirrels will often chew through the roof and eaves to gain access to the attic. If you have seen squirrels jump from tree to tree via limbs, you probably know they can potentially jump from nearby limbs to your home. From the roof, they can enter through gaps, cracks or holes under eaves, gutters, gables, siding, vents and down vent pipes and chimneys. A trip down vent pipes often results in the animals becoming trapped and dying, and odor can become a problem in your home. Don’t ignore small holes, rodents will often gnaw until it is large enough for them to enter. Rodents gnaw to maintain a manageable length to their fast growing teeth. Their gnawing can cause significant damage to the home, and can be a threat to your health and even, the lives of your family. The threat isn’t due to the potential for disease alone, they can cause serious damage in your home without management. Furthermore, once they start multiplying, the problem can get out of control quickly. If your home is experiencing a problem with rodents, act now, and contact The Bug Dude for pest control in Fort Worth. The list of items and structures they can damage is extensive. They damage insulation, walls, doors, floors, plumbing, hoses, and perhaps most dangerous of all – electrical wiring. Rodent damaged wiring poses the risk of fire and/or shock. Rodents will chew through the insulation encasing electrical wiring. The insulation prevents nearby flammable materials, such as the wooden structure of the walls, from igniting when arcing or overheating of the wire occurs. If you have a rodent issue, contact The Bug Dude to schedule pest control in Fort Worth. The experts estimate rodents are responsible for approximately 25% of all house fires due to damage to electrical wiring. 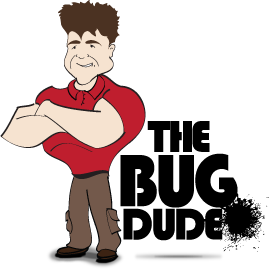 Contact The Bug Dude for professional pest control in Fort Worth. Signs of gnawing in or around your home, garage, workshop or other structures. Electrical damage may be not only in your home, but also in the vehicle, lawn mower or other outdoor equipment. Nest with nesting materials, such as shredded insulation, in the attic, basement, vehicles, outdoor equipment, or in sheltered areas on your property. Droppings are clear evidence of a rodent problem. Squirrel droppings are likely to be clustered in a single spot, while mice and rats will randomly defecate and abundantly. You may see mice and rats scurrying throughout your home. Hearing their scratching, gnawing and scurrying in attics, walls and ceilings are also possible. Inspect cabinets, drawers, boxes, and along baseboards for signs of a rodent infestation, such as droppings, nests, or chewed packaging. Sealing potential entry points is essential. Clean up food spills and crumbs. Put food up and discard food scraps in a tight fitting garbage can. Take out the garbage routinely. Store packaged goods in sturdy glass, metal or dense plastic materials. Inspect door sweeps and replace cracked or damaged sweeps. Inspect and replace damaged weather stripping on doors and windows. Ensure chimneys are fitted with fire proof wire for chimneys, and close the flue when not in use. Ensure attics, basements and crawlspaces are dry. Maintain a tidy and uncluttered home, lawn and garage. Trim trees and shrubs a minimum of two feet from your home. In addition, check the attic, basement, nests, or chewed packaging. Rodent populations can rapidly expand, and early identification of an infestation can prevent damage in your home. The Bug Dude can take care of your rodent populations with pest control in Fort Worth. Store dry pet foods and bird seed in a sealed metal container. In addition, don’t leave pet food out overnight. Dispose of fallen fruit from trees. Keep the grass cut and around your home neatly trimmed. Store firewood at least 12 inches off the ground. Schedule routine pest control in Fort Worth for your home or business. If you have rodents in your home, or other pest issues, contact The Bug Dude to schedule a professional treatment of your home. Rodents breed rapidly, and waiting to call for pest control in Fort Worth may result in damage to your home. Take control of your rodent problem now. Contact The Bug Dude for effective pest control in Fort Worth.